"We bred two lovely horses and as we are moving abroad we are selling them. We have been asked what we want for a leaving present from my parishes (I am a parish priest) and we have decided a painting would be good. 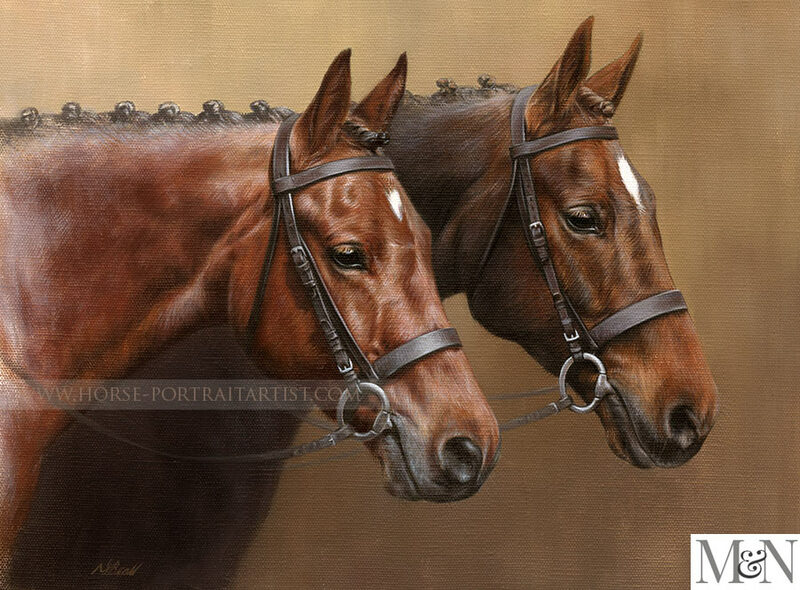 We like your husband's style and want an oil painting 16 x12 of or two horses heads on a plain background like your gallery 'Gatsby, Missy and Moriarty'. It would be good to have them painted with plaits in as they are hunters...."
We are delighted they look amazing. Well done to Nicholas! We very much enjoy working with clients who have been given a portrait or voucher as a gift. We often create portraits for retirement or birthday however this commission was exceptional being a collection from the parish to their priest who was moving away to Europe. Not able to be with their horses any longer was going to be very difficult. An oil painting of them must have been a comfort in their new life abroad. 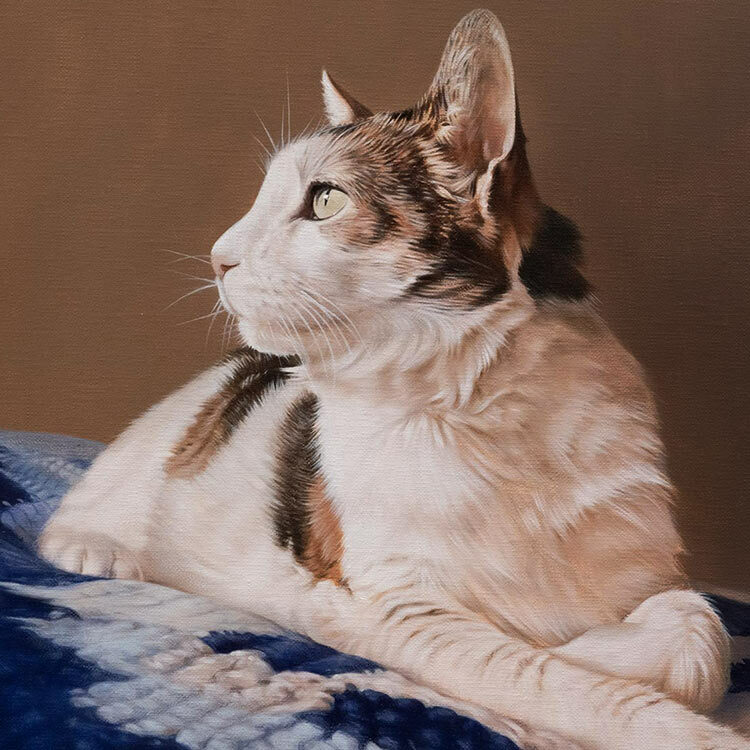 If you have a friend or family member who is moving, why not give them a portrait or their horse as a gift - either a pencil or oil painting, depending on your preference. I'm sure they would be thrilled. 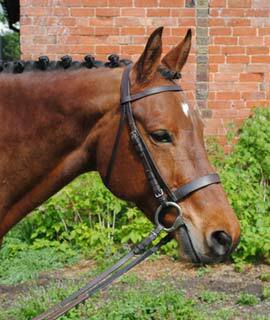 Email us at any time with your details by visiting our Horse portraits contact page.